The latest and greatest from Samsung is here. With a tagline that goes "Next Is Now !" 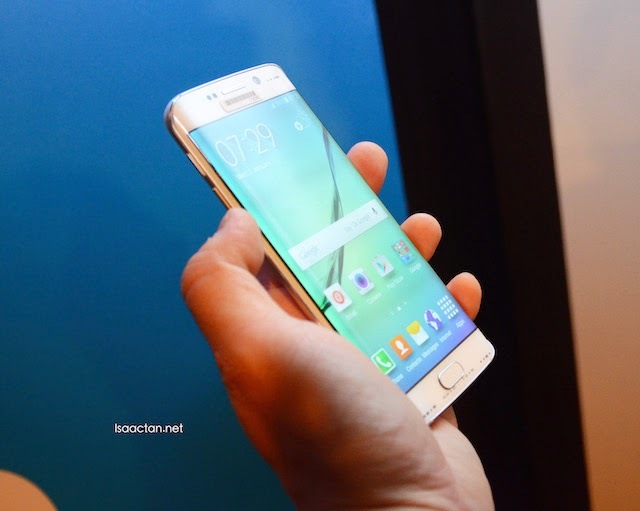 , Samsung Electronics Co. Ltd today announced its entirely redefined smartphones, the Galaxy S6 and Galaxy S6 edge. 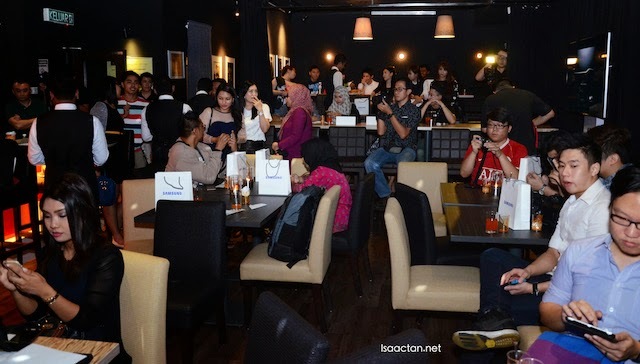 I had the opportunity to catch the live viewing telecast in Barcelona with a bunch of other tech guys and bloggers and the best part was we got the chance to feel and play with the actual units at the end of the event. Creating a new standard for premium materials with the most advanced Samsung technology to offer consumers an unmatched mobile experience. 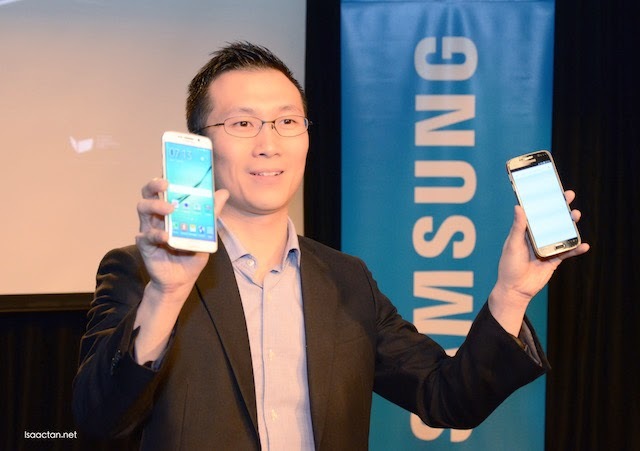 "With the all new Galaxy S6 and Galaxy S6 edge, Samsung is offering what's next in mobility, along with a new standard to drive the global mobile agenda", said JK Chin, CEO and Head of IT & Mobile Communications Division at Samsung Electronics. Carefully crafted from metal and glass, the Galaxy S6 and Galaxy S6 edge blend purposeful design with powerful features. The Galaxy S6 edge, shows unique and outstanding beauty while also providing a solid grip and an immersive viewing experience with the world's first curved display on both sides. Its glass body, made from the toughest glass to date, Corning Gorilla Glass 4, is available in an array of colourful jewel tones. The colours range from White Pearl, Black Sapphire, Gold Platinum, Blue Topaz and Green Emerald elicit a unique visual texture as it reflects natural light. The Auto Real-time high dynamic range (HDR), Smart Optical Image Stabilization (OIS) and IR Detect White Balance provide advanced light sensitivities and crisp camera solutions. Furthermore, a new "Quick Launch" feature give users fast, direct access to the camera from any screen in just 0.7 seconds by simply double clicking the home key button. Pretty cool stuff. With fully embedded WPC and PMA certified wireless charging technology, the Samsung Galaxy S6 and Galaxy S5 edge are setting a new industry standard for universal wireless charging. The devices work with any wireless pad available in the market that supports WPC and PMA standards. They also sport incredibly fast wired charging, 1.5times faster than the Galaxy S5, providing about 4 hours of usage after only 10 minutes of charging. Lots of tech has been thrown into such a small package. The thin (6.8mm/7.0mm edge) and lightweight (138g / 132g edge) Galaxy S6 and Samsung Galaxy S6 edge integrate the most advanced, cutting-edge, Samsung core technology available today. The world's first 14nm mobile processor with 64-bit platform, new LPDDR4 memory system and UFS2.0 flash memory provides higher performance and enhanced memory speed with lower power consumption. The world's first 1440P/VP9 hardware based codec enables users to enjoy high resolution streaming video while also using less power. In addition, the 5.1 inch Quad HD Super AMOLED screen offers users the highest pixel density of 577ppi. Enhanced outdoor visibility with a brighter display (600cd/mm) lets consumers experience content without compromise. Samsung Pay, a new and easy-to-use mobile payment service that will be compatible with more locations than any competing offering in a single application will launch on Samsung Galaxy S6 and Galaxy S6 edge in the United States during the second half of this year. Protected by Samsung KNOX, fingerprint scanning, and advanced tokenization, Samsung Pay works with both Near Field Communication (NFC) and Magnetic Secure Transmission (MST) technology to make it device, merchant and card issuer agnostic. The Samsung Galaxy S6 and Galaxy S6 edge are built on the upgraded Samsung KNOX, end-to-end secure mobile platform, offering defence grade features for real-time protection from potential malicious attacks. Both of these new devices are also ready for immediate enterprise adoption, with market leading MDMs and KNOX enhancements enabled at launch to simplify and improve mobile device management. The Find My Mobile feature secures lost devices and protects personal information through a number of services, including the new remotely controlled "reactivation lock". With an enhanced touch-type fingerprint scanner, it also provides quick authentication and saves encrypted data in secure device storage. 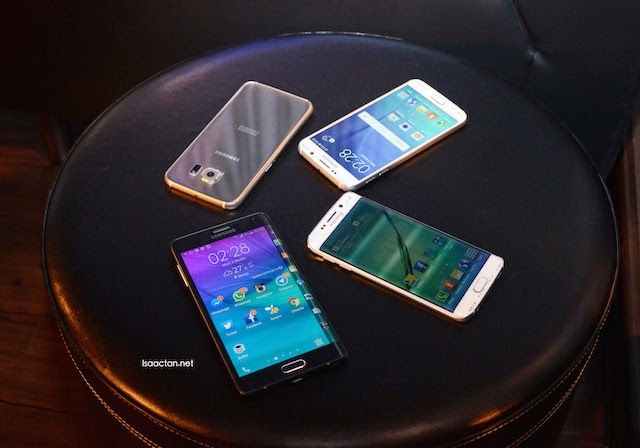 The Samsung Galaxy S6 and Galaxy S6 edge will be available globally starting from April 10, 2015 with 32/64/128 GB storage options available in White Pearl, Black Sapphire, Gold Platinum, Blue Topaz (Galaxy S6 only) and Green Emerald (Galaxy S6 edge only). Check out this link here for full details and product images. 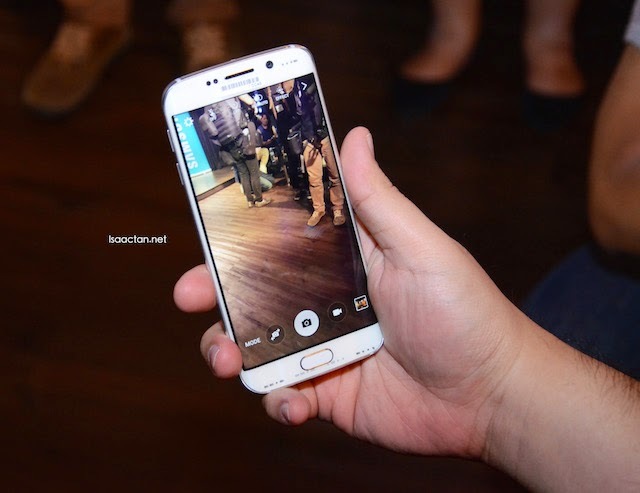 So when are you getting your Samsung Galaxy S6 / S6 edge? You're getting one? If yes, send me your old one. I don't mind - "used but still in good working condition". If no, why? I heard samsung is changing their battery to non-removable. I don’t get it, what's so special about this that they wanna change? They also don’t have an option to add on external storage right? WHYY SAMSUNG DU DIS? Actually i think the newest design on S6 is pretty good where there's a reason why they make it a non-removable battery smartphone. The battery now has a fast charging mode, u can just charge ur phone for like 10mins and can use it for 4 hours continuously.. Pretty sick right.. And now the phone is smaller so its much more mobile IMO. and for SD card slot, who actually still rely on external memory storage, u can always backup ur phone what.. Use internal memory the phone will run faster lehhh. 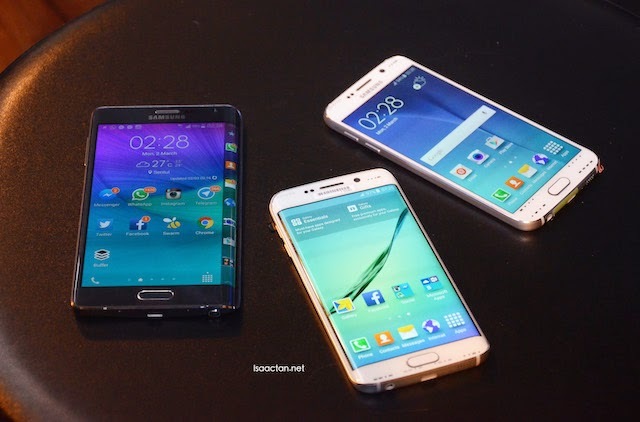 I’m happy to hear that Galaxy S6 and S6 Edge launched soon, but the price is impossible that low. As I known so far it should be around RM3k. 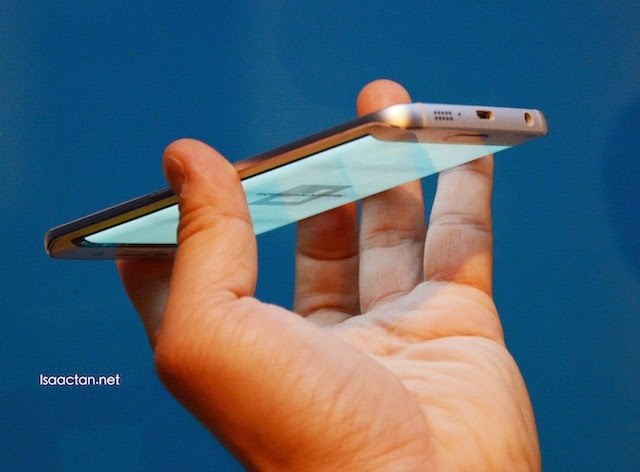 Actually I’m quite interested for both S6 and S6 Edge new characteristic and design. It also quite impressive! !I was wondering if the specification is good enough compare to nowadays smartphones. I’m not agree many people said that the design is similar to iphone one. For iphone spec is still the best, I love the apple’s new custom ISP (Image Signal Processor).It’s can capture within 1.1 seconds now. i already the video that u share ...Omg, this s6 edge and s6 are so special to me.. i really like both of them.. i want to know more about it , u can share me more.. tq.. So far I had checked out the phone spec everything is good but non-removable battery is troublesome. It makes me feel disappointed when I had found out this problem. Honestly to say that most people like to spend for their money to try latest stuff and without think about it. After using it, dissatisfaction starts to pop out. 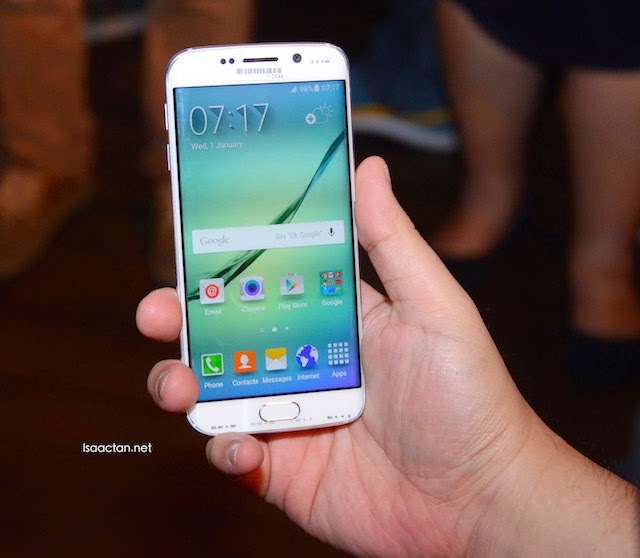 can't wait to see how s6 works since it's non removable battery.. will it works better than previous models.. Battery problem? Look at iphone user still dint complaining anything. Battery now may have a fast charging mode which can shorter the duration of charging time and also Samsung also updated to the latest Android 5.0 lolipop OS which will be able to remove pre-installed app. 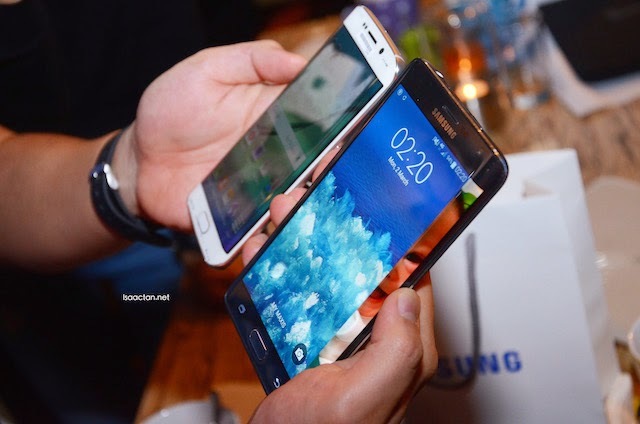 What’s wrong with S6 specification? Actually the specification not that bad at all, smartphone tend to have similarity it is to satisfy all user. 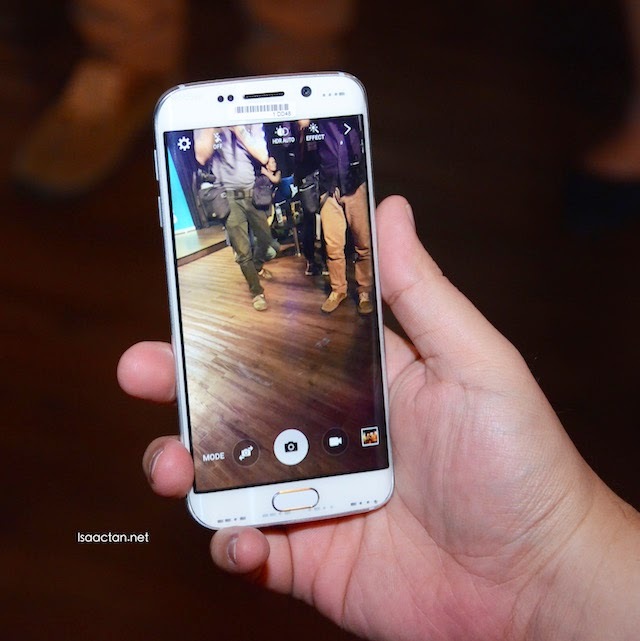 My opinion about S6 and S6 edge,pls do research before posting. 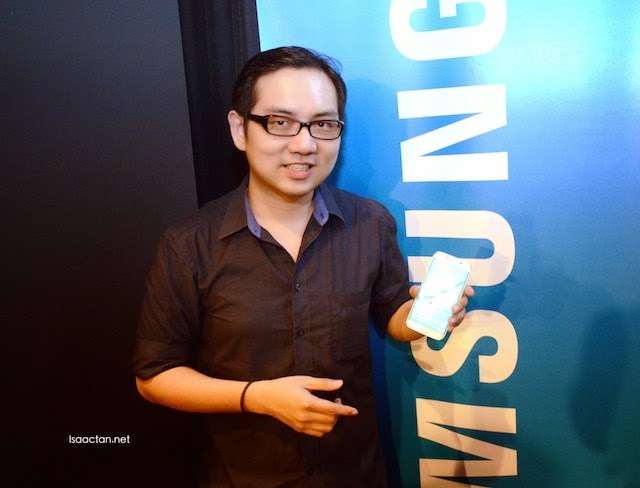 S6 is really a nice smartphone la i would say... it's elegant and feel so impressed especially with the S6 Edge.. 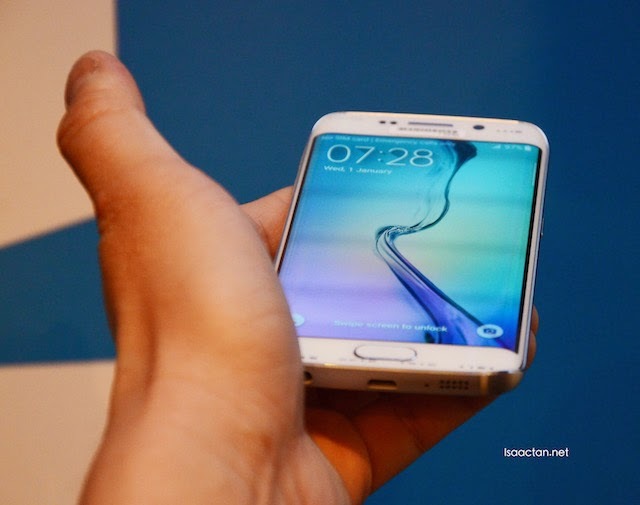 I am sooo super in love with the S6 after reading reviews about it everywhere... Can't wait for it to launch and I am so gonna be the first to own it lo..
Good to see that S6 doing a great job compare to previous galaxy series there are much a lot of upgrade in S6. Btw I like the larger phone storage and 3GB RAM, it’s so cool. This smartphone I’m still looking forward for more info and review. It’s worth to do more research about it.